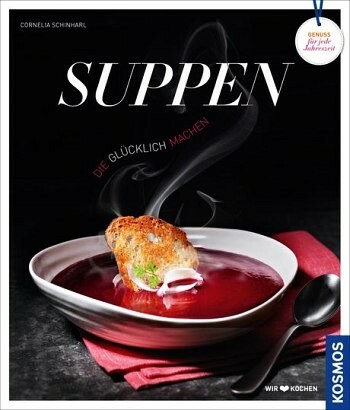 Product information "Suppen, die glücklich machen"
Soups are satisfying, keep you toasty warm from the inside out, and are good for the soul. But that’s not all: Chicken broth is good for your health, potato stew builds you up, light vegetable soups helps you slim, purifying nettle soup makes you beautiful and loved ones can even seduce each other with a aphrodisiac chili soup. This book describes a wide variety of soups that really can make you happy. Cornelia Schinharl is one of the most successful cookbook authors in the German-speaking countries. Her creative solutions and recipes, her writing and storytelling style always hit the mark with the target group and turn her books into successful bestsellers. The Three !!! Beware, beach shark!